Vice-chair David Skidmore: Closure of Respite is not an option. 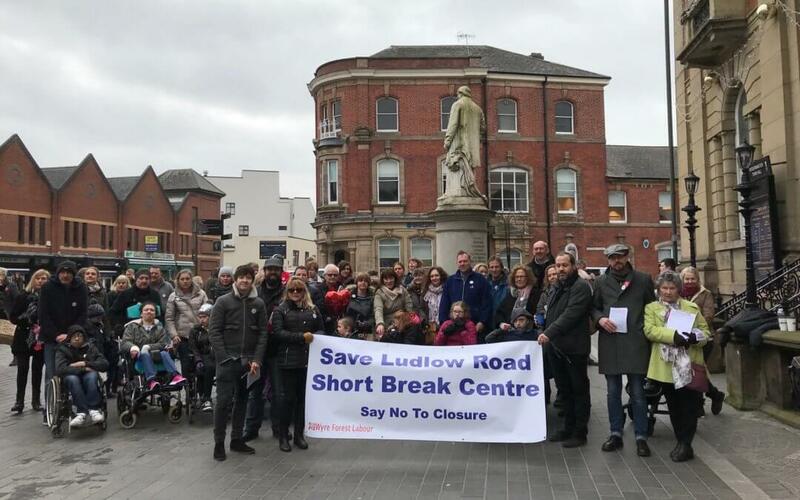 It was great that on Saturday, CLP members; Sam, Harrison, Liam, Maureen, Chris and myself were able to join members from Wyre Forest Labour, who together with families affected were campaigning against the closure of the Ludlow Road Respite Centre in Kidderminster. We spent the morning outside Kidderminster town hall, leafleting, talking to and collecting signatures against the closure from passers by. This centre cares for young people from all over the county, amongst the families affected there were families from Bromsgrove, Rubery and Redditch. They need our help. We have to stand up against these dreadful Tory policies, I challenge anyone meeting these families not to be enraged that Tory councillors can make these decisions. Closure of such a centre is not an option, any decent human being would ensure that whatever happens, a place such as this would remain.